A couple of days ago we said goodbye to Hanoi, it'd been our home and base for the past two weeks whilst we acclimatised to the Vietnamese way of life. It had been hot, humid and extremely satisfying. The hustle and bustle of the little streets of the Old Quarter was hard not to love, albeit difficult to manoeuvre through. The pavements are either used for moped parking or street vendors, leaving little to no room for walking. Pedestrians are left in the road battling it out with the traffic; it's a shock to the system to say the least! Road intersections are a free for all, with horns beeping constantly and cars squeezing through... Chaos doesn't really cut it. After a few hours of walking around you are beat. We stayed in a fantastic hostel - Hanoi Brother Inn - for £9pp a night, which included a hot breakfast of eggs or pancakes however we wanted. Situated right in the middle of the Old Quarter we were right in the midst of it all. 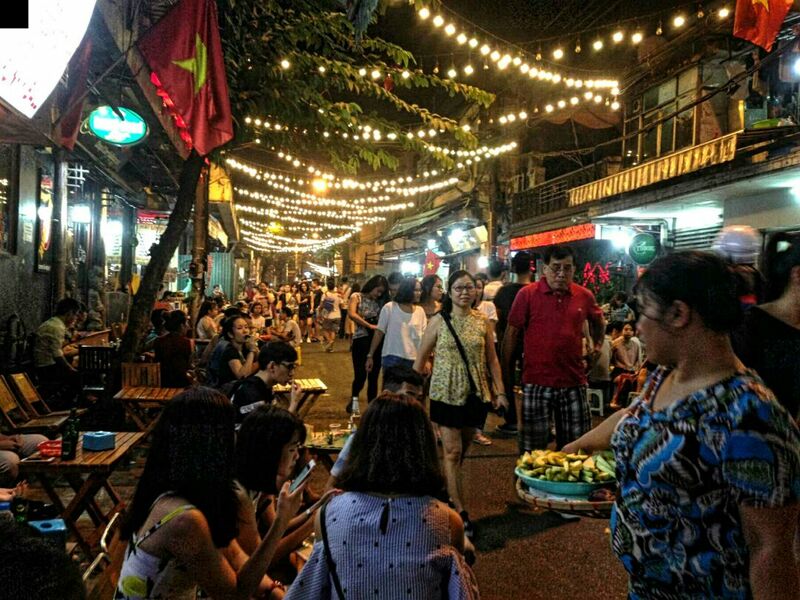 On the first Friday night, after an exhausting and unsuccessful day of bike hunting, we headed to the infamous Hanoi night markets. They did not disappoint! 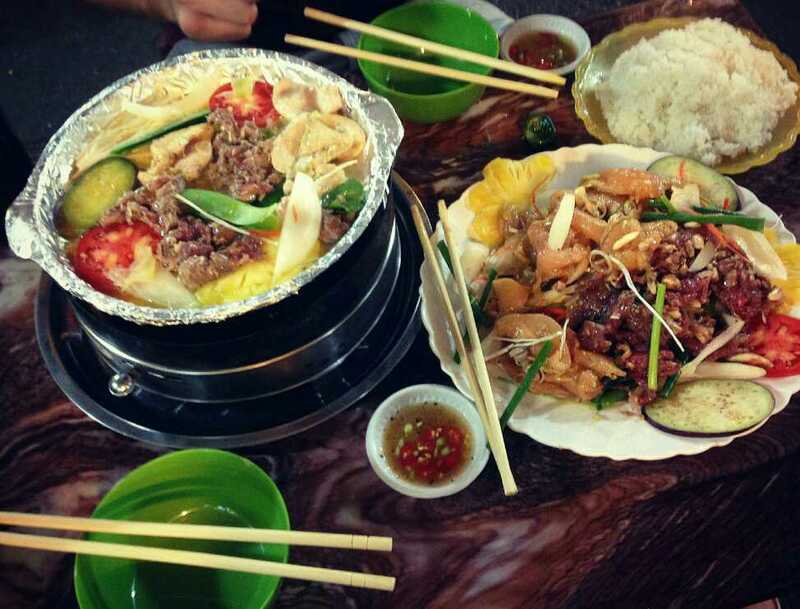 Many streets were closed off to the traffic and we ate some delicious food, cooking over an open flame on the table. Bia Hoi was flowing - a local Vietnamese draught for only 5,000 Dong (£0.18) a glass. 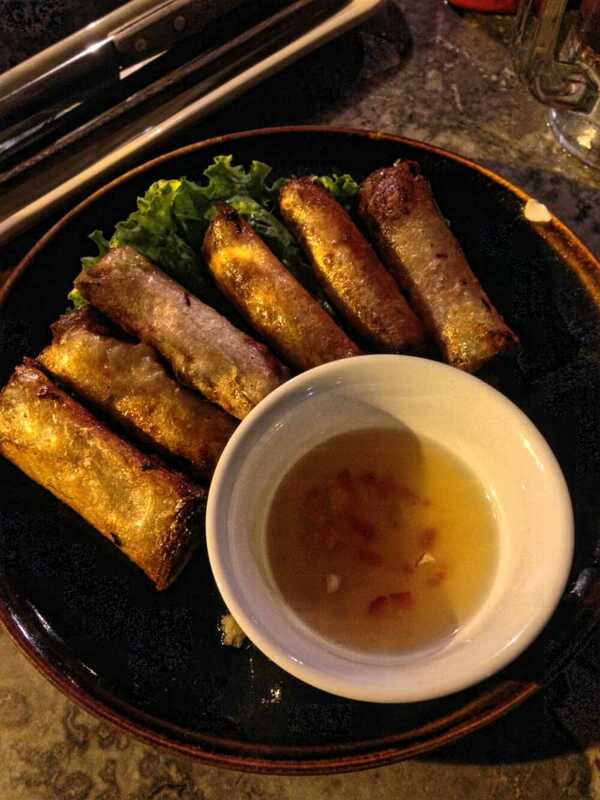 Vegetable spring rolls - our favourite! 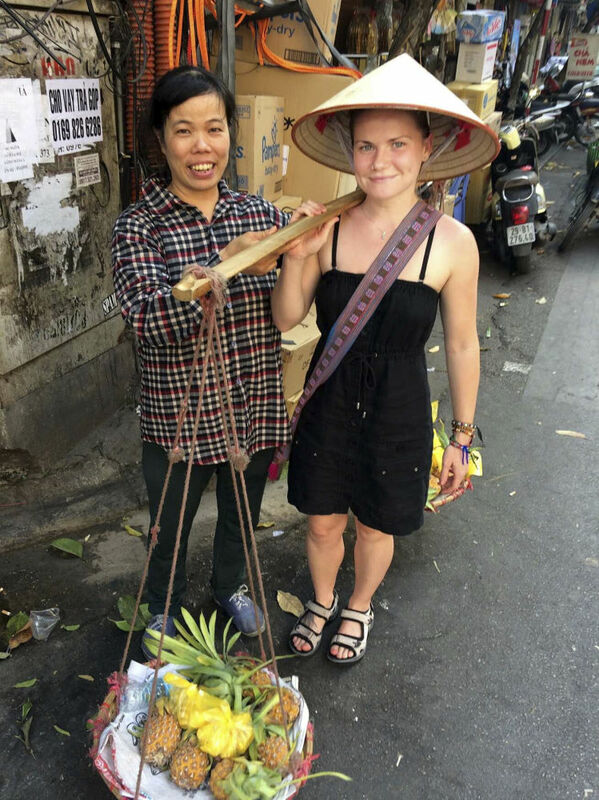 In the two weeks we were in Hanoi we squeezed in a trip to Halong Bay, Sapa and purchased the bicycles and all the kit we needed for the 1,200 mile ride to Ho Chi Minh City. We also found time to do a bit of sightseeing in the city. 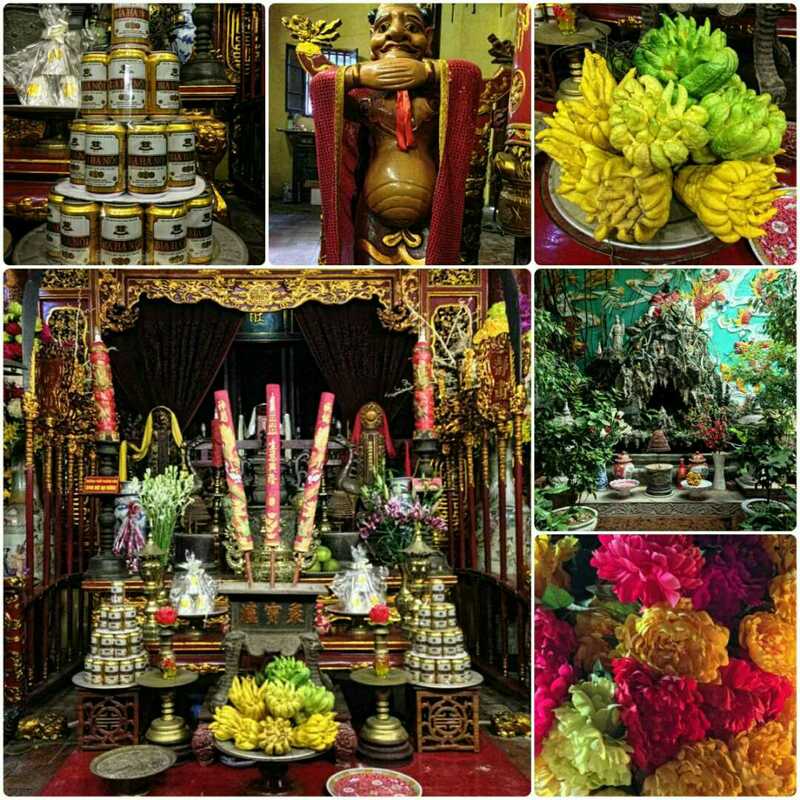 We visited the oldest Buddhist temple in Hanoi; Bach Ma Temple. It was very ornate, and contains a shrine to Confucius. I think we most appreciated the towers of beer which had been laid out as offerings. 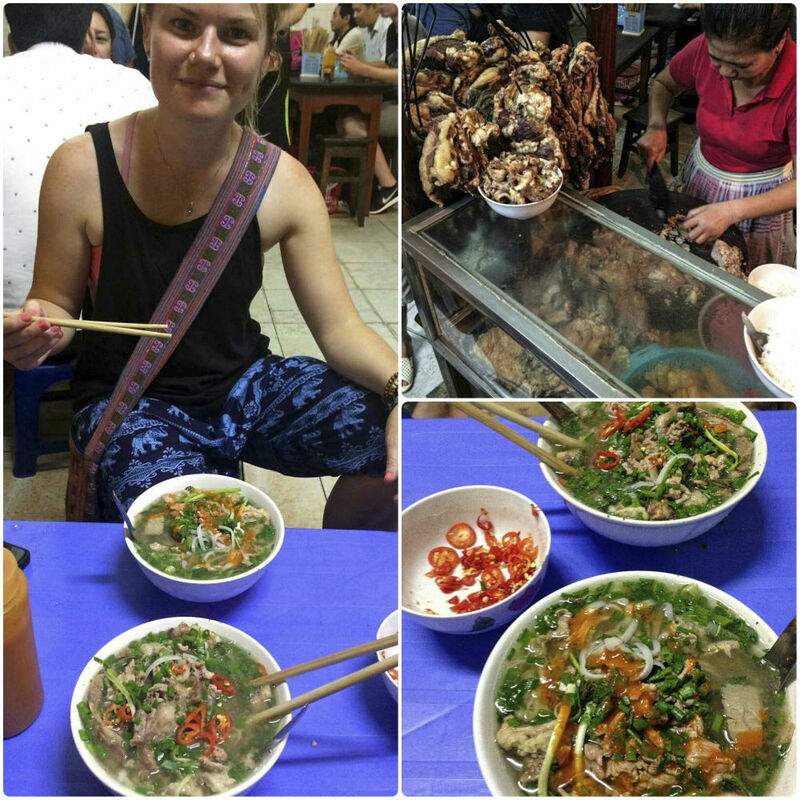 We visited the 'very best' Pho restaurant in Hanoi. The meat looked pretty grim hanging up in the heat... Mike thought it was delicious but I found it to be a little too authentic for my delicate palate. 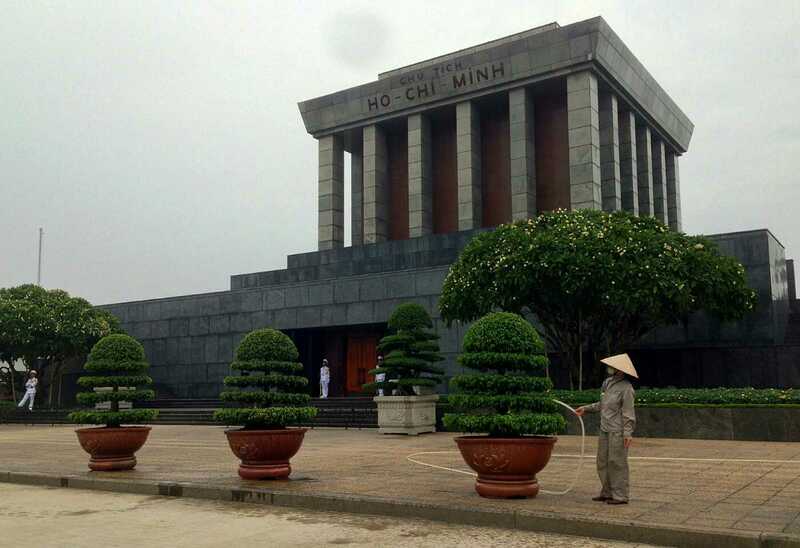 We went to see Ho Chi Minhs Mausoleum which was very impressive. We got there just in time to see the changing of the flag which was interesting. All the guards looked very serious, they reminded me of the Beefeaters at Buckingham Palace. We couldn't go in to the tomb and see his body unfortunately, because it was closed due to maintenance. I did however, catch a nice shot of a gardener watering the plants. We also nipped into Hao Lo Prison, ironically nicknamed the 'Hanoi Hilton' by the US prisoners of war, which made me think of the trusty 'Delcam Hilton'. 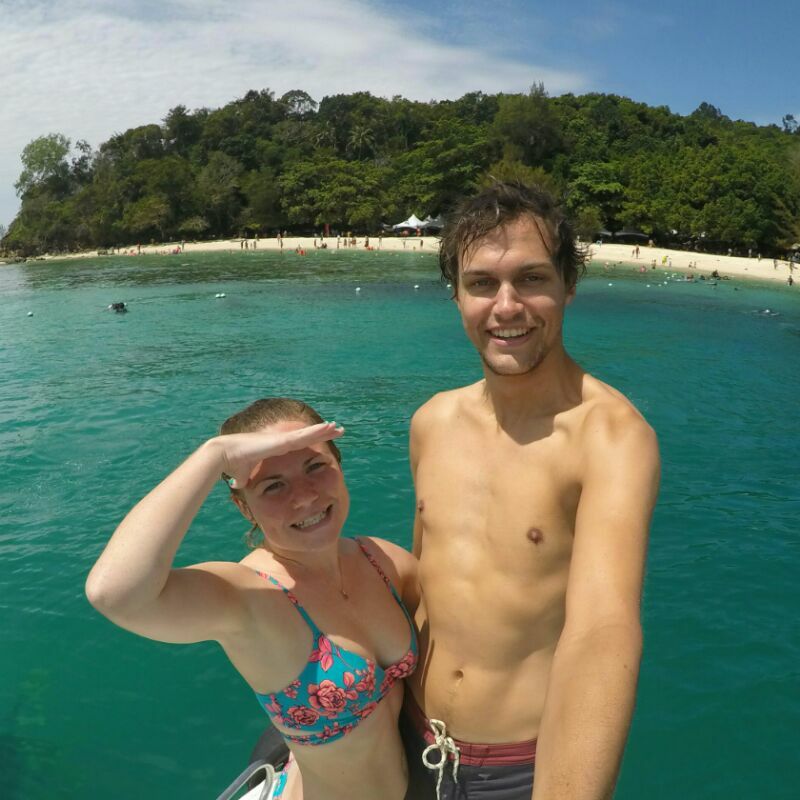 The conditions weren't too dissimilar either :-). As a Brit, the one thing that really makes me happy is a decent cup of tea. 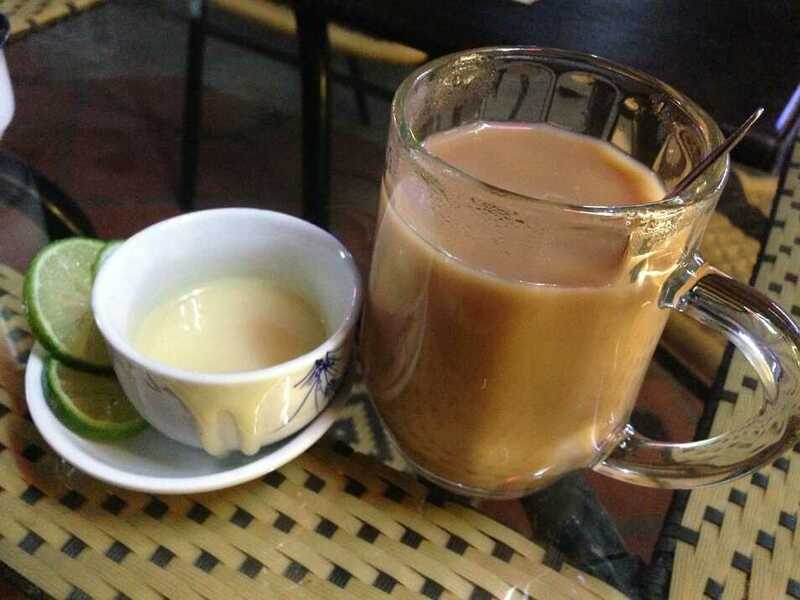 The Vietnamese have their own tea which is nice but it doesn't quite cut the mustard. Fortunately, there is an abundance of black Lipton tea on offer if you are prepared to spend a few extra pennies. They serve it with condensed milk. The first one tasted sickly sweet but I have grown to love a Lipton tea with condensed milk over these past few weeks. It makes me feel right at home :-). 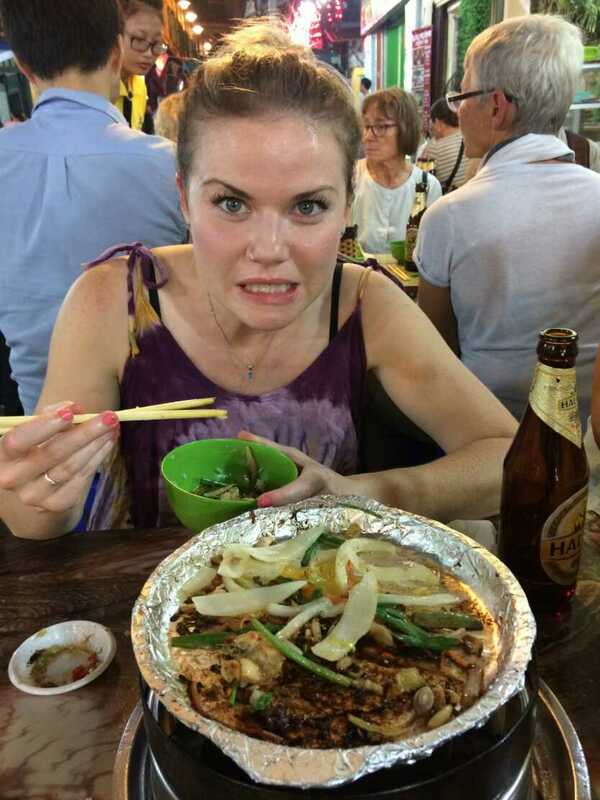 By the time we were ready to leave Hanoi, we'd got some of the important lingo down, ready for our cycling trip. We could now confidently say 'Hello', 'Thank you' and 'Two Beers' in Vietnamese, and we also new that 'Nha Nhgi' was a guesthouse. I think we were ready to go! 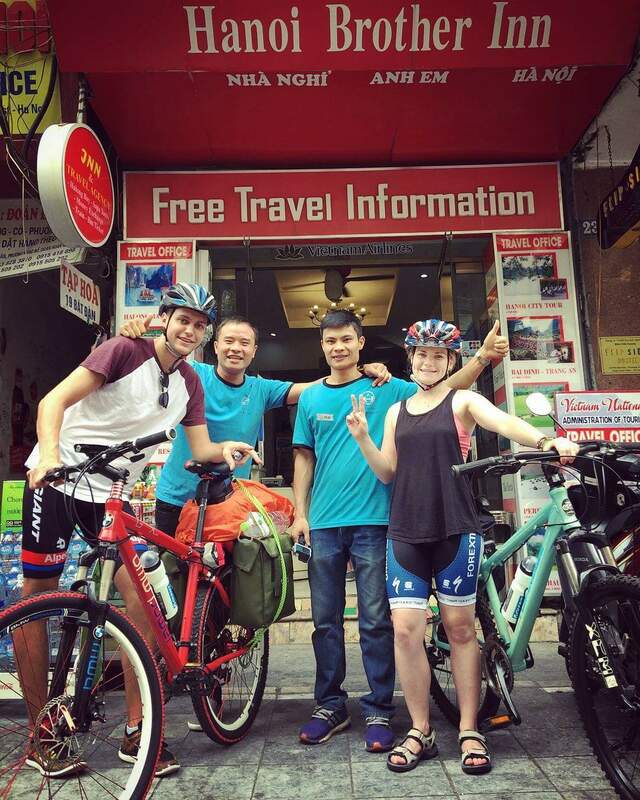 Before we left our hostel we took a departing photo with our new friends, the brothers from Hanoi Brother Inn, then set off with a wobbly start on the hard slog out of this crazy city on our laden bikes.